Franchisors are well aware of vets' successful track record in becoming entrepreneurs, and they're putting out the welcome mat, financially speaking, hoping that you'll bring that proven success to their brands. 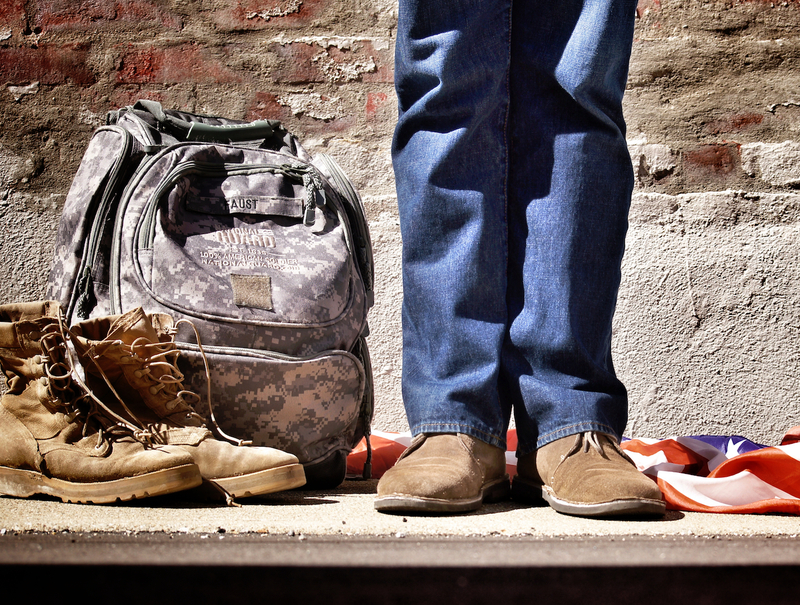 Read on for some stories that explain why vets are in such high demand by franchise owners. Franchisors want vets for reasons that are connected to strict bottom-line figures. They probably appreciate your service, but they don't hand out discounted franchises purely out of generosity. Instead, they know that, in the military, you developed a powerful sense of follow-through. You've learned to be a reliable self-starter, able to simultaneously work within an established structure and, at the same time, take personal responsibility for complex operations. VetFran was started in 1991 to provide opportunities to Gulf War vets, and it has been growing ever since. It now works with more than 650 member franchisors to offer franchise discounts exclusively to vets. At this point, it is the primary program for vets to find financial assistance, industry mentorships and all kinds of how-to education. You may not think you have the funds available to get started as a franchisee, but entry into these business opportunities is more affordable than you might realize. Since 2013, the SBA has offered vets special streamlined access to small business loans through its SBA Express program. You can find out whether you qualify for funding within 36 hours, and no collateral is required for loans under $25,000. Lenders such as USBank are eager to help you launch your own franchise operation. • Joseph Walker III knew he wanted to continue enjoying the sort of productive teamwork he had gotten used to during active duty in Iraq. He also appreciated the fact that an established, successful franchise system meant that he didn't have to reinvent the wheel. Receiving mentorship and encouragement from fellow vet Kevin Wilkerson (see next story), who was already finding success with the Marco's Pizza chain, Joe made the leap. Three years into his franchise career, Joe already has 11 open Marco's locations with three more in active development. After making some bold financial moves to invest in his future, his restaurants now bring in $11 million dollars in sales. Joe plans to open an additional 17 locations in the coming years, and he now says, "Once you have committed to a brand, build the team." He credits his great team with having made his success possible. • Kevin and Laurel Wilkerson had spent a combined total of 44 years in the Army when they retired and embarked on their next joint career. With decades of experience and seven advanced academic degrees, the Wilkersons did not lack for opportunities. As area representatives and multi-unit owners for Marco's, the couple finds that they can utilize their full array of skills and strengths. Kevin says he especially enjoys the challenge of crafting a creative marketing strategy that's specially tailored for each region, and they're currently working on a 40-store development plan. • Mary Thompson initially found her transition to civilian life challenging after spending years in the Marine Corps. Although she didn't have any business experience, she knew that a solid franchise structure would enable her to turn pure hard work into a profitable living. She found her franchise home in Cookies by Design, and within three years she was a multiple-unit franchisee. Mary's advice to fellow vets who are interested in pursuing franchise opportunities is to "Do your homework!" She points out that you increase your odds of success by studying the Franchise Disclosure Document (FDD) for any franchisor you're considering, and she urges potential entrepreneurs to talk to at least 10 franchisees of the company, as well. She even suggests contacting at least one who was not successful in order to learn about what went wrong. • Melissa Anderson was ready for new challenges after nine years in the U.S. Air Force. After some study, she opened a franchised "paint and sip" studio under the Bottle and Bottega brand. Her franchise pioneered new territory in Florida, being only the second store in the entire state, and she says that the communication skills she acquired in the Air Force were key to her success. She shifted into networking overdrive, joining her local Chamber of Commerce and sponsoring charitable fundraisers. "Franchising is really about relationships," Anderson comments, and she adds that her franchisors' corporate team provided mentorship that made her feel like part of an extended family. Plenty more success stories exist out there: According to research quoted in VetFran's FAQ, one in every seven U.S. franchises is owned and operated by military veterans. This adds up to more than 66,000 businesses, which provide jobs for over 800,000 Americans and bring in more than $41 billion in sales. You can join the ranks of small business owners and put your hard-earned skills to work being your own boss. Start your next career by contacting FranchiseHelp. We're here to connect you with hundreds of great opportunities and give you everything you need to succeed. Before going into the negotiating aspect, one must always ask the franchisor whether they are willing to negotiate. Usually franchisors state that they have a rigid Franchise Agreement and that it is not open to negotiating. However, there may be some instances where the franchisor may allow some flexibility. Stated below are a few tried and tested tips for negotiating franchise agreements and which areas to concentrate one’s efforts on. But, once the original operating system is established, it must be refined and tweaked as changes take place in its industry and within the company. An ongoing challenge for every business, not only franchise companies, is how to improve their operating systems in order to better manage results.